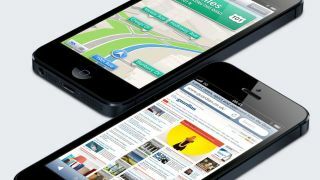 When Apple's iPhone 5 arrives in consumer hands, it will come complete with a 1.2GHz dual-core A6 CPU. Unique to Apple, the custom designed chip was built from the ground-up completely in-house utilizing architecture licensed from ARM. Though the history of the A6 chip is pretty interesting in and of itself, it's the future of Apple's CPU development that has some analysts excited for 2014. According to Linley Gwennap, head of the Linley Group, he predicts Apple will introduce a new CPU every two years, starting with the A7 in 2014. Linley, who authored the report detailing the history of the A6, believes Apple will continue to develop their own chips in-house from now on. In his report, Linley stated, "To keep pace with competitors using ARM's own cores, the company will have to crank out a new CPU design every couple of years." "We believe Apple is already working on a next-generation CPU, which will likely implement the 64-bit ARMv8 instruction set." Since he thinks 2014 is the target for the A7, Linley suggested, "for its 2013 products, Apple will have to rely on the same CPU design, perhaps in a quad-core configuration and with a higher-performance GPU." Whether this slight upgrade to an A6X chip means there will be a slightly upgraded iPhone 5 in 2013 is unclear, but it wouldn't be outside the realm of possibility given Apple's previous release history. Linley's report estimates Apple has spent upwards of $500 million to create the A6 chip over the past four years. This of course was in an effort to deliver their chip three months before rival Samsung, which gives Apple a pretty decent head start going into the holiday of 2012. With the Linley Group estimating some $25 billion in profits generated by sales from the iPhone 5 this year alone, that investment could pay off nicely. The same could be said about future endeavors, and is why Linley believes Apple will continue on their current CPU development path over the next few years.